I know, you read the title and you're thinking, "What?" It means literally what it says. The. Bike. Is. On. The. Wall. So, let me tell you what happened the other day. Try not to laugh, alright? Well, I was trying to clean and reorganize our messy garage, and I tripped over my son's bike. Then, guess what? I tripped over my husband's bike. My prayers were answered shortly after that. It's as if the universe heard my cry. I could not wait to try out this bike holder that I was sent. The day it arrived in the mail I seriously wanted to run into the garage and drill some holes in the wall to install it. I didn't that particular day, but eventually I got it up there. 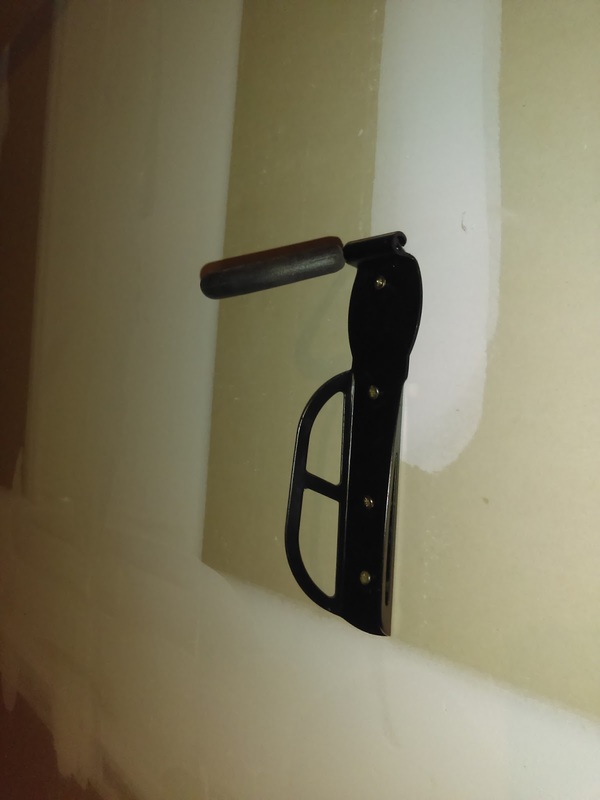 This is a side view of it mounted onto the wall. Yes, it came with the mounting screws. It didn't take very long to get it up there. 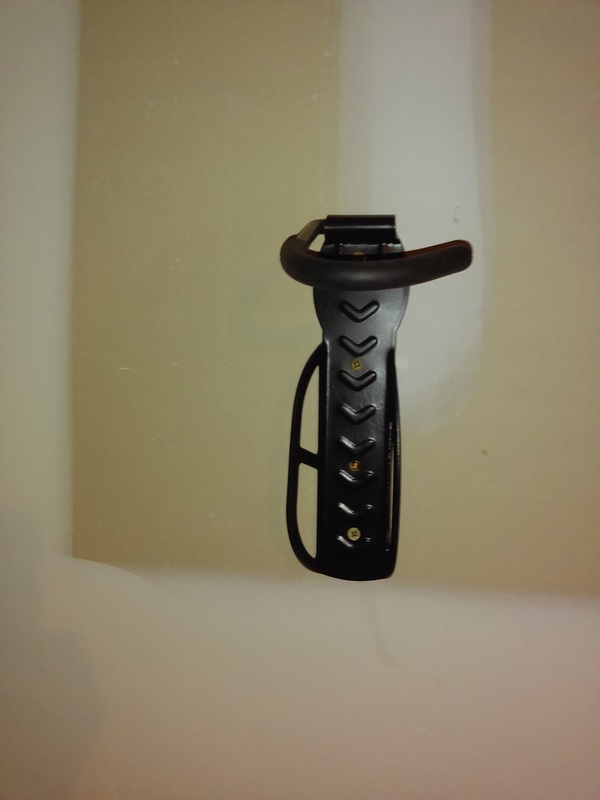 This is the front view of the bike holder. The hook slips inside the wheel area. Also, there is a sponge covering on the hook so that it won't scratch up your tires. 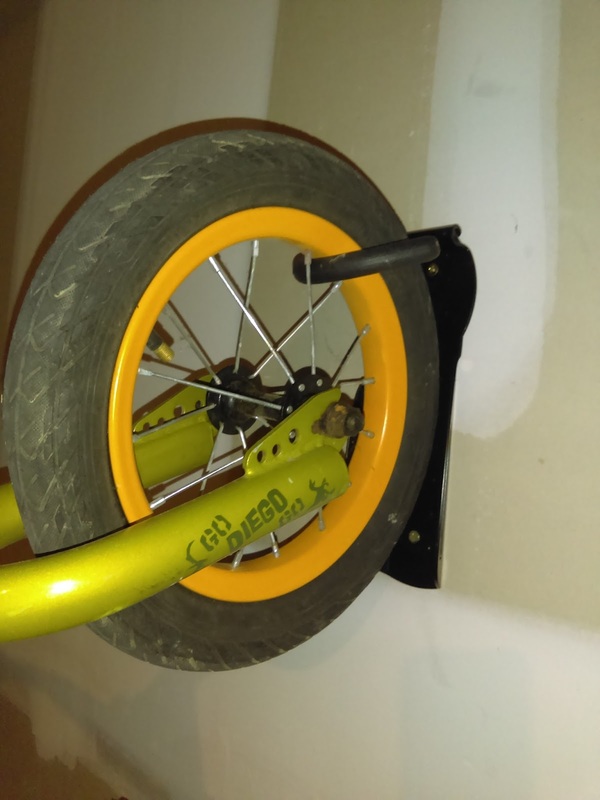 This holder can support up to 60 pounds, so that means that I could hang my son's or daughter's bike, or even my husband's! 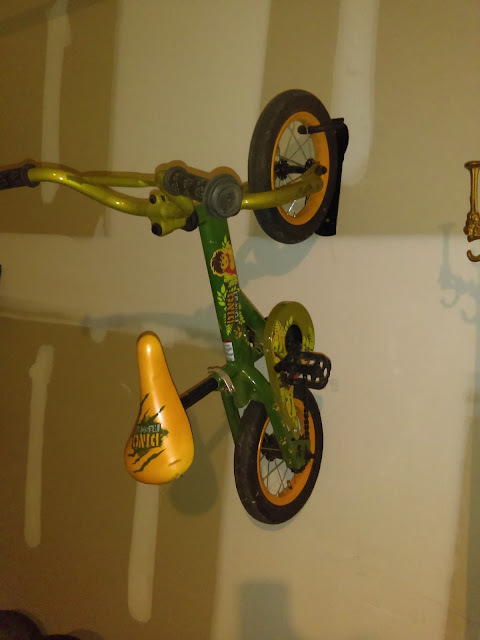 I decided to hang my son's bike on it. Looks like I'm going to be needing to purchase a couple of more to hang those as well! Isn't this cool? I love this product. One less bike to trip over, right? This could be hung in a garage, shed, outer wall, or somewhere in the house. It's up to you.